For their next opera production, Operaview is moving to a gallery. 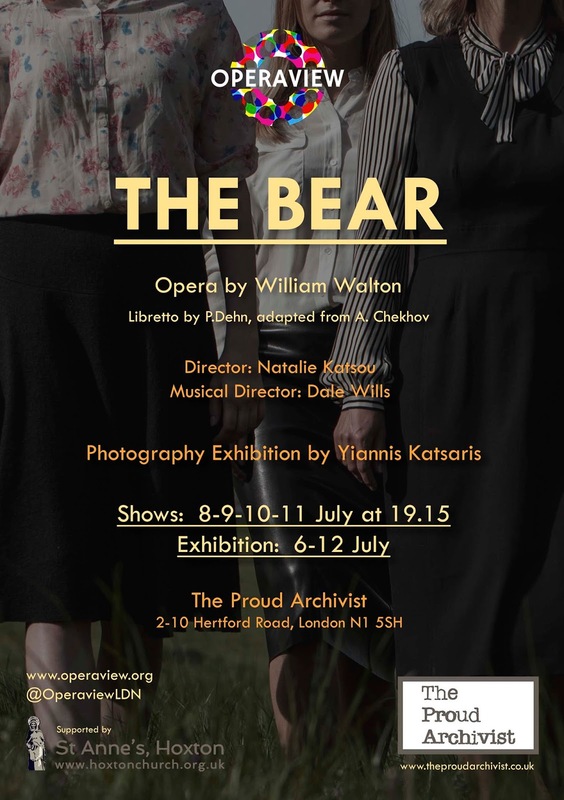 At the Proud Archivist gallery in Hackney they will be staging four performances of William Walton's one-act opera The Bear in the context of a photography exhibition by Yiannis Katsaris. Yiannis Katsaris's exhibition is of photographs inspired by Walton's opera, which is in turn based on a Chekov play. So Yiannis Katsaris has taken a series of photos of Russians living on London today resulting in an interesting juxtaposition. 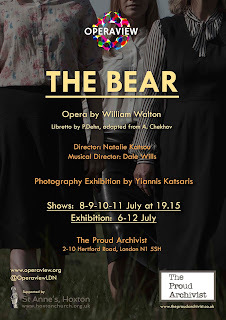 The Bear will be directed by Natalie Katsou with Dale Wills as musical director. The opera runs from 8 to 11 July 2015, with the exhibition on from 6 to 12 July. The Proud Archivist is at 2-10 Hertford Road, London N1 5SH. Tickets available on-line through EventBrite.